The stamp features the portraits of five diplomats awarded the honor of Righteous Among the Nations. Perlasca is the first on the left. Did you know that this August is the anniversary of two great heroes of the Hungarian Jews? It is the 100th birthday of Raoul Wallenberg, and the 20th anniversary of the death of Giorgio Perlasca. Exactly who were they, and what did they accomplish? Biographies of Raoul Wallenberg and Giorgio Perlasca follow the jump. Once confronted by the Holocaust, the Allied Powers reacted slowly. Refusing the initial appeal of Jewish organizations for Allied countries to deliver food and medicine to the ghettos of Europe, the British and U.S. governments argued that supplies would be diverted for the Germans’ personal use or would be granted to the Jews just to free the Third Reich from its “responsibility” to feed them. A license granted in December 1942 for such shipments had minimal effect. In 1943, the Treasury Department approved the World Jewish Congress’ plan to rescue Jews through the use of blocked accounts in Switzerland, but the State Department and the British Foreign Office procrastinated further. On January 16, 1944, Morgenthau presented Roosevelt with the Treasury report, and the president agreed to create the War Refugee Board (WRB), the first major attempt of the United States to deal with the annihilation of European Jews after increasing calls from Congress and the public for a presidential rescue commission. The “Bergson Group” led by Hillel Kook was the most vocal group of activists calling for rescue, had considerable support in Congress and Senate as well from Eleanor Roosevelt and prepared the ground for Roosevelt’s eventual decision. The persecution of the Jews in Hungary soon became well known abroad. In late spring 1944, George Mantello publicized what is now called the Wetzler-Vrba Report, a detailed account of the operations of the Auschwitz-Birkenau concentration camp written by two recent escapees. Following the report’s publication, the administration of US President Franklin D. Roosevelt turned to the newly created War Refugee Board (WRB) in search of a solution to the humanitarian crisis in Hungary. In spring 1944, President Roosevelt dispatched US Treasury Department official Iver C. Olsen to Stockholm as a representative of the WRB. Olsen was tasked specifically by the President with finding a way to aid the Hungarian Jews. This, however, was not the sole reason for Olsen being posted to Sweden. In addition to his duties with the WRB, Olsen was also secretly functioning as the chief of currency operations for the Stockholm branch of the Office of Strategic Services (OSS), the United States’ wartime espionage service. In search of someone willing and able to go to Budapest to organize a rescue program for the nation’s Jews, Olsen established a committee composed of many prominent Swedish Jews to locate an appropriate person to travel to Budapest under diplomatic cover and lead the WRB’s planned rescue operation. One member of the committee was Wallenberg’s business associate Kalman Lauer. of its demolition (Budapest, District XIII, Szent István park). The committee’s first choice to lead the mission was Count Folke Bernadotte, the vice-chairman of the Swedish Red Cross and a member of the Swedish Royal Family. When Bernadotte’s proposed appointment was rejected by the Hungarians, Lauer suggested Wallenberg as a potential replacement. Olsen was introduced to Wallenberg by Lauer in June 1944 and came away from the meeting impressed and, shortly thereafter, appointed Wallenberg to lead the mission. Olsen’s selection of Wallenberg was initially met with objections from some US officials who doubted his reliability, in light of existing commercial relationships between businesses owned by the Wallenberg family and the German government. These differences were eventually overcome and the Swedish Ministry for Foreign Affairs agreed to the American request to assign Wallenberg to its legation in Budapest as part of an arrangement in which Wallenberg’s appointment was granted in exchange for a lessening of American diplomatic pressure on neutral Sweden to curtail their nation’s free-trade policies toward Germany. Raul Wallenberg was chosen and financed by the War Refugee Board created by President Roosevelt and appointed to the Swedish Legation in Budapest as a deal between Sweden and the USA. Wallenberg was appointed Sweden’s special envoy in Budapest and reached the legation in July 1944. When Wallenberg reached the Swedish legation in Budapest, the campaign against the Jews of Hungary had already been underway for several months. Between May and July 1944, Eichmann and his associates had successfully deported over 400,000 Jews by freight train. Of those deported all but 15,000 were sent directly to the Auschwitz-Birkenau concentration camp in southern Poland. By the time of Wallenberg’s arrival there were only 230,000 Jews remaining in Hungary. Together with fellow Swedish Charge d’Affaires in Budapest Per Anger, he issued “protective passports” (German: Schutz-Pass), which identified the bearers as Swedish subjects awaiting repatriation and thus prevented their deportation. Although not legal, these documents looked official and were generally accepted by German and Hungarian authorities, who sometimes were also bribed. The Swedish legation in Budapest also succeeded in negotiating with the German authorities so that the bearers of the protective passes would be treated as Swedish citizens and be exempt from having to wear the yellow badge required for Jews. With the money raised by the World Refugee board, Wallenberg rented 32 buildings in Budapest and declared them to be extraterritorial, protected by diplomatic immunity. He put up signs such as “The Swedish Library” and “The Swedish Research Institute” on their doors and hung oversize Swedish flags on the front of the buildings to bolster the deception. The buildings eventually housed almost 10,000 people. Raoul Wallenberg Memorial, Wallenberg St., Tel-Aviv, Israel. .. he climbed up on the roof of the train and began handing in protective passes through the doors which were not yet sealed. He ignored orders from the Germans for him to get down, then the Arrow Cross men began shooting and shouting at him to go away. He ignored them and calmly continued handing out passports to the hands that were reaching out for them. I believe the Arrow Cross men deliberately aimed over his head, as not one shot hit him, which would have been impossible otherwise. I think this is what they did because they were so impressed by his courage. After Wallenberg had handed over the last of the passports he ordered all those who had one to leave the train and walk to the caravan of cars parked nearby, all marked in Swedish colours. I don’t remember exactly how many, but he saved dozens off that train, and the Germans and Arrow Cross were so dumbfounded they let him get away with it. Wallenberg started sleeping in a different house each night, to guard against being captured or killed by Arrow Cross Party members or by Adolf Eichmann’s men. Two days before the Russians occupied Budapest, Wallenberg negotiated with the Germans to prevent a Fascist plan to blow up the Budapest ghetto and kill an estimated 70,000 Jews by threatening to have them prosecuted for war crimes once the war was over. “Acting Charge d’Affaires,” Spanish Legation, Budapest, Hungary, 1944-45. Giorgio Perlasca, has perhaps the most incredible story, one that includes his disguised identity, his enormous bluffs, and daring actions to save Budapest’s Jews. Wallenberg was sent by the War Refugee Board created by Franklin D. Roosevelt but In contrast, Perlasca was just an Italian businessman. Additionally, he was a fascist and a veteran of two of Mussolini’s wars. 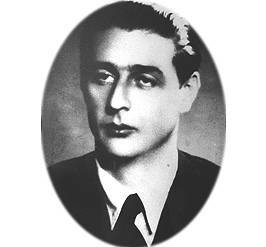 Giorgio Perlasca, an Italian fascist who also fought along Franco in the Spanish Civil War, is credited with saving thousands of Jewish refugees in Budapest. In the autumn of 1943, he was appointed as an official delegate of the Italian government with diplomatic status and sent to Eastern Europe with the mission of buying meat for the Italian army. With the Italians having abandoned their German allies, Budapest became an uncomfortable place for an Italian citizen. Perlasca was interned with the other Italian nationals at a camp called Kekes. The Italians feared that they would be deported to Germany as many Italian soldiers were after the announcement of the September 8, 1943, armistice. After a few months, he took advantage of a medical pass that allowed him to travel within Hungary, he got to the Spanish Embassy and requested political asylum, due to his status as a veteran of the Spanish war. Perlasca’s paper said: “Dear Brother-in-Arms, no matter where you are in the world, you can turn to Spain.” Perlasca talked the Spanish ambassador Angel Sanz Briz into issuing him a passport. Sanz Briz then asked Perlasca to stay on at the embassy and help out with its effort to save Jews. Throughout the winter, Perlasca was active in hiding, shielding and feeding thousands of Jews in Budapest, and to issue them with safe conduct passes on the basis of a Spanish law passed in 1924 that grants citizenship to the descendants of the Jews expelled from Spain in 1492 under the Alhambra Decree and persecuted by the Spanish Inquisition. in my last letter I stated clearly that the Spanish government will be forced to take retaliatory measures if our protectees should become victims of your cruel treatment. If, by January 10, the Spanish government has not received a reassuring communication from me, the retaliation will begin. You should know that there are 3,000 Hungarian citizens living in Spain and that the government has decided to intern them and confiscate their property in the event its protectees here in Budapest are mistreated. The same measure is ready to be applied to all those Hungarians who wish to go to Paraguay and for whom 150 provisional passports have been issued here in Budapest. Perlasca and the other diplomatic representatives of neutral nations went to the freight stations that were used for deportations to see if they could save anybody. On one of these occasions, Perlasca saw an old man who had pinned on his chest, next to the yellow star, his World War I medals. Perlasca walked up to him, took him away from the station, and helped him into his car. A German officer signaled one of the Hungarian policemen to investigate. After showing him his passport and the letter certifying that he was on the staff of the Spanish embassy, he was allowed to take the man away. 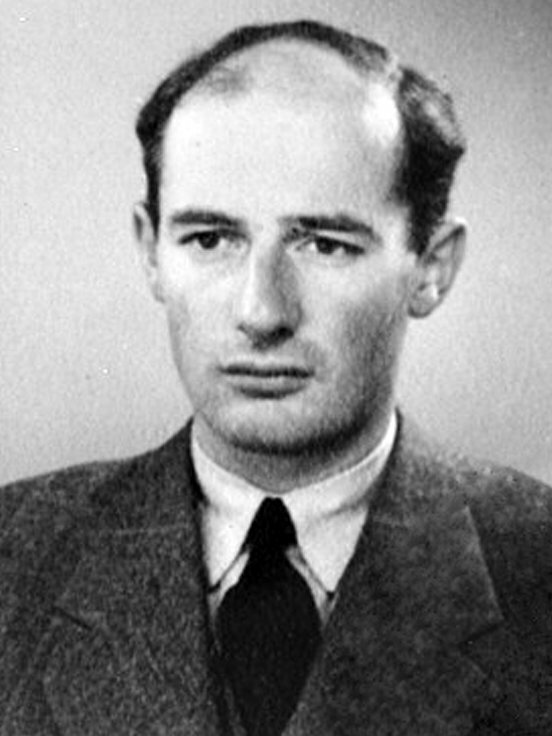 Raoul Wallenberg, the Swedish diplomat who rescued thousands of Hungarian Jews during the war, had been watching this dispute. He walked up to Perlasca and told him the colonel was none other than Adolf Eichmann, one of the architects of the “Final Solution” and responsible for the murder of millions of Jews in the death camps of Europe during the war. In a period of some 45 days, from December 1, 1944 to January 16, 1945, he saved over 5,000 Jews by his own initiative, about four times as many as were saved by much more famous Oskar Schindler. August 2012 is the 20th anniversary of his death. In his will he asked that on his tombstone should be written in Hebrew “חסיד אומות העולם”. At the height of the program, over 350 people were involved in the rescue of Jews in Budapest.